DrivingTooFastAgain, originally uploaded by Mapachito. Surely that should be “accelerating too hard again”? The velocity of the vehicle wouldn’t have any effect on the passengers, whereas Newton’s First Law of Motion says that the dog would remain travelling at the same velocity unless the seat cushions applied a force to it. 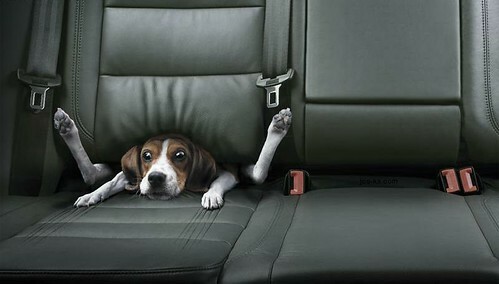 Newton’s Second Law of Motion indicates that the seat cushions failed to apply sufficient force to change the dog’s momentum at the same rate as the car’s.